This week’s European update marks the debut of Astro Tripper, a side scrolling shoot’em up that was developed by two persons that make up PomPom Games. 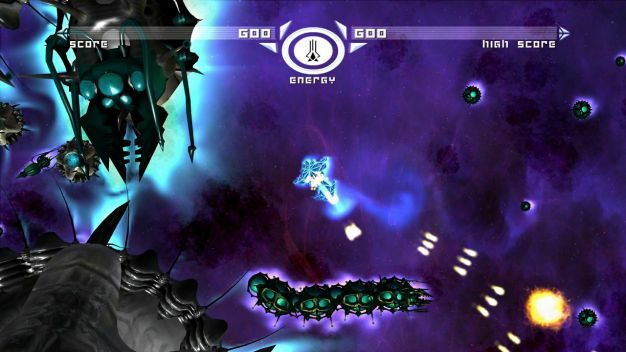 Astro Tripper comes with Trophy support, 1080p full HD graphics and online leaderboards. There’s 14 levels spread out across 4 worlds to conquer but we’re not sure if it includes online or offline co-op. A more familiar title is Puzzle Quest: Challenge of the Warlords for £15.99/€19.99. We know how this one goes — match the gems and hope the computer doesn’t cheat too much. LittleBigPlanet continues with the costume updates with Street Fighter apparel being the coolest yet. We also get a free Santa costume to bring a little holiday cheer to our Sackperson. North America is feeling a bit retro today with a free map pack for Resistance: Fall of Man. There’s a new game called PowerUp Forever available for $10 that is apparently about harvesting energy cores of fallen enemies to grow and expand. Other than that there’s some free add-ons for Mercenaries 2, LittleBigPlanet, Age of Booty and High Velocity Bowling.